Former staff and pupils at a North Shields school are being sought for a special anniversary. 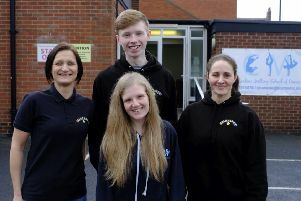 Southlands School, a secondary special school for young people with learning difficulties, is marking the opening of its new building and 50 years of service with a celebratory afternoon on Thursday, July 9. And those who used to attend or work there are being urged to get in touch to share photos and stories. Headteacher Dave Erskine said: “We are very keen to bring together past and present staff and students to celebrate the life of the school to date. There are many more ex-colleagues and former students out there who we would love to see and hear from. Any former member of staff or pupil should contact David Erskine on (0191) 200 6348 or email david.erskine@northtyneside.gov.uk. The new building will be opened by Jim Collingwood, the inaugural headteacher of the school when it opened in 1963 having moved then from Lovaine House in North Shields. Mayor Norma Redfearn, who will perform the grand opening of the new building, said: “Southlands is a fantastic school and the dedicated staff do a great deal of amazing work with the young people.